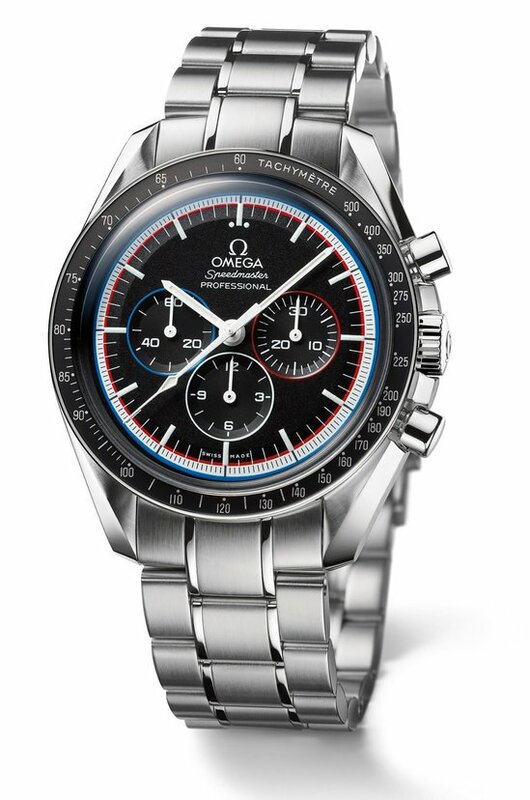 When you’re a super spy tracking villains across the globe by day and romancing ladies at cocktail parties by night, you need to have a watch that suits your lifestyle and Omega is making it happen. 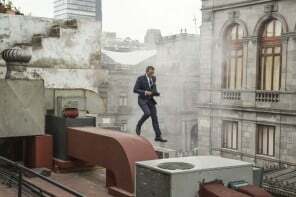 The watch company has long since been the go-to brand for Britain’s premier secret agent- James Bond – with a collaboration that began way back in 1995 with the movie Golden Eye. 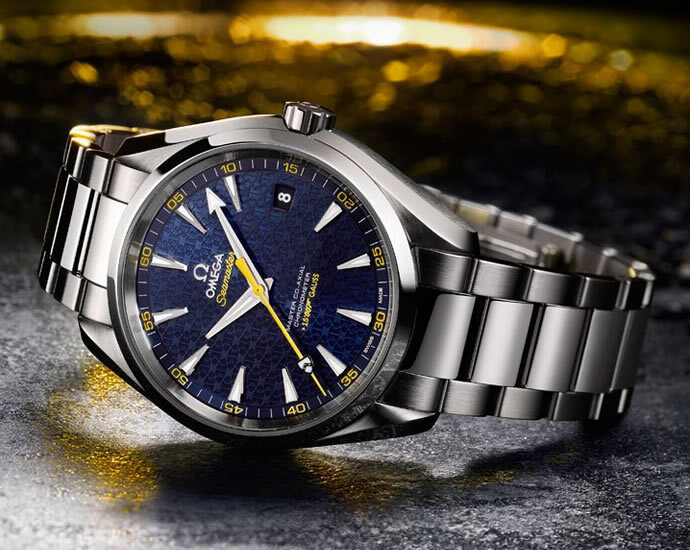 Now in anticipation of the latest film in the Bond franchise: Spectre, Omega has revealed a limited edition Seamaster Aqua Terra 150M Master Co-Axial bearing the Bond family coat of arms. 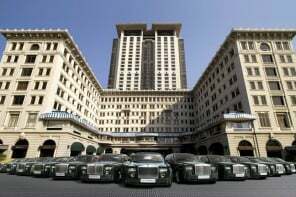 The 41.5mm watch features a blue dial with a repetitive interlocking pattern of the iconic coat of arms. The yellow second hand of the watch also bears the crest. 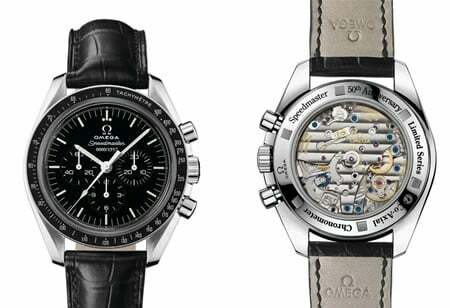 The watch features a stainless steel bracelet and flat bezel and is equipped with the Omega Master Co-Axial 8507 calibre movement which is resistant to (magnetic field) up to 15,000 Gauss. 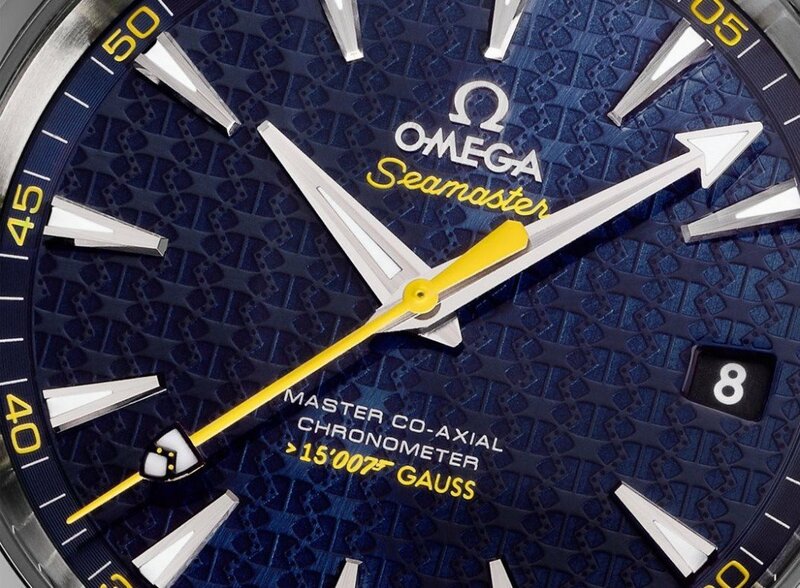 Those with an eye for detail will easily spot the yellow ‘> 15,007 gauss’ print on the dial. 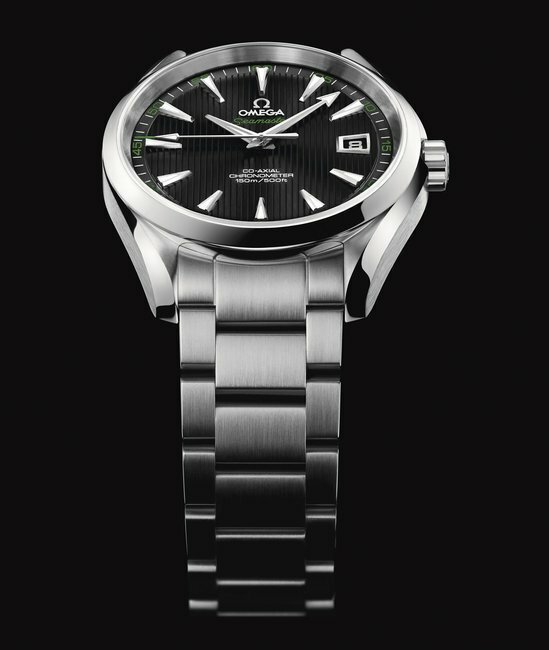 The Omega Seamaster Aqua Terra 150M Master Co-Axial Limited Edition falls into the chronometer category and is limited to 15,007 pieces. In a detail that is uniquely “Bond”, the rotor of the caliber 8507 movement has been cut and shaped to resemble the barrel of a gun. 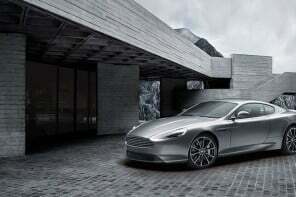 Spectre is already shaping up to be an expensive affair if the Sony Hack is to be believed and Bond’s toys in the film are similarly expensive with brands like Aston Martin getting in on all the action. 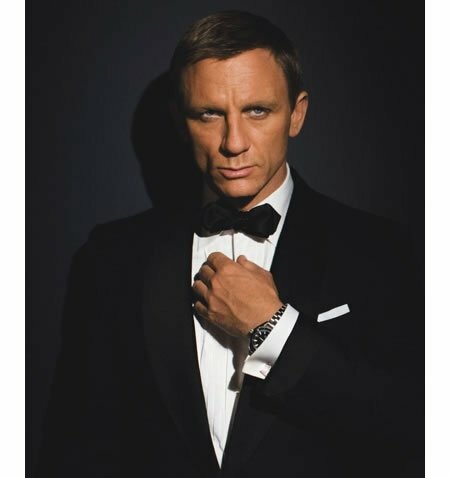 As for the price of this Bond inspired watch? 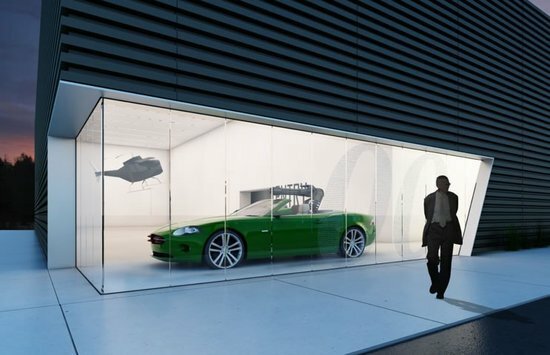 We don’t know for sure, but you’ll surely need a Bond sized bank account to afford it! 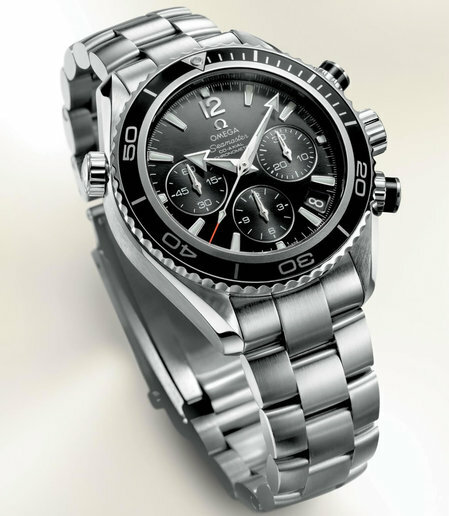 Omega’s brand new limited edition 007 Seamaster Diver 300m watches to hit stores soon!